Aloha! 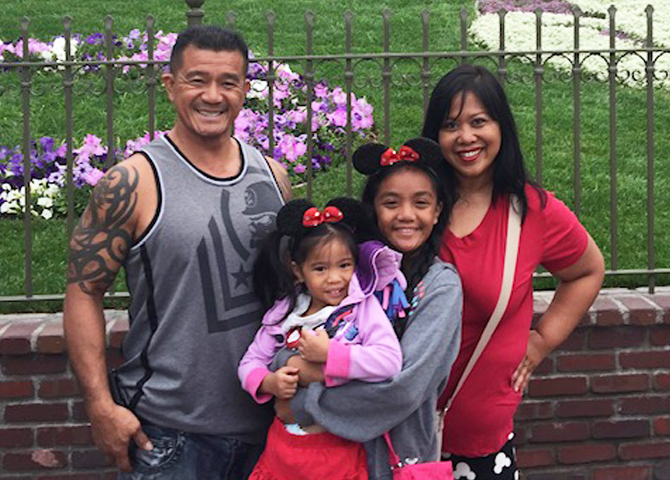 We are the Campos-Gungap Ohana, Joy, Cheryl, Jasmyn, and Chelsey Joy. We are truly honored to be chosen as Family of the Month for December 2018. Aloha, we are the Aoki Family - Chad, Candice, Courtney (12) and Caurie (8). We are honored and excited to be PDD's November 2018 Family of the Month! 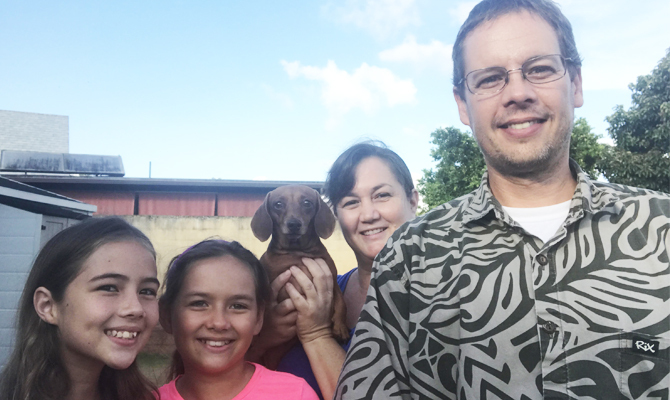 Our family resides in Mililani with Chad a Home Repair/Maintenance Technician, Candice a Real Estate Agent & Property Manager, Courtney a 7th grader at Mililani Middle, and Caurie a 3rd grader at Mililani Uka. Hi Everyone! We are the The Kiehm family from Pearl City and we are very honored to be named PDD's Family of the Month for October 2018! We are the Holm family- Mark, Cheryl, Camille (9) and Kaleb (11). We are thrilled to be FOtM and a part of the PDD ohaha! Kaleb is in 5th grade, Camille is in 4th grade- both phenomenal students at Keoneula Elementary school in Ewa Beach. When we are not PDD'ing, we love to go to plays and productions around town, travel, play board games, listen/sing to 80's music in the car, go to the beach and spend time with our extended family and friends. Aloha! We are the Keane Family: Andy, Jeannette, Emily (12), Allyson (10) and Rosey (family dog). We are so honored to have been chosen as Pas de Deux’s family of the month. Andy is an engineer at Oceanit, Jeannette is a science teacher at Leilehua High School, Emily is a 7th grader at Mililani Middle School and Allyson is a 5th grader at Mililani Waena Elementary School. 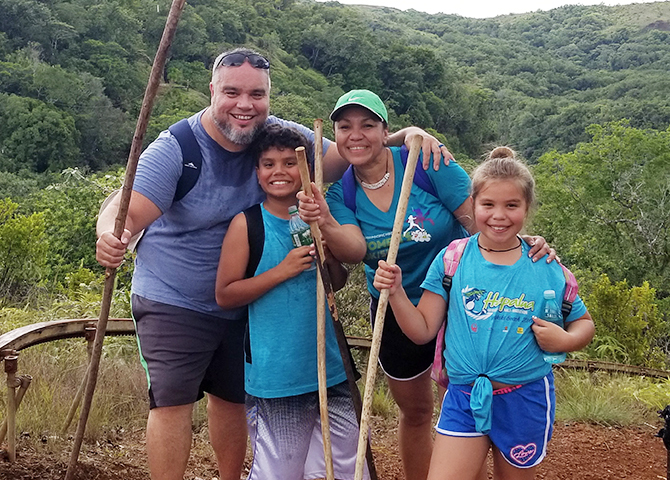 The Lueder (pronounced Leader) ‘Ohana is very blessed to be named PDD's Family of the Month for July 2018! Our family unit resides in ‘Ewa Beach and consists of Randy Lueder, Deputy Director of Ko Olina Operations; Billie Lueder, Director of Institutional Advancement for Hawaii Baptist Academy (HBA); Randie (10) an incoming 6th grader at HBA; and Reese (8) an incoming 3rd grader at HBA. Aloha! We are the Tomita Family! Blaine, Sherri, Dylen, Bryson & Shayden! We are so blessed to have been chosen as PDD’s family of the month. Blaine is a probation officer with Family Court, and head coach for Laulima Soccer Club. Sherri is a homeschooling mommy of all 3 boys in 10th, 8th & 5th grade respectively, substitute teacher at Calvary Chapel Pearl Harbor and currently the state representative for NCFCA speech and debate organization. Aloha! 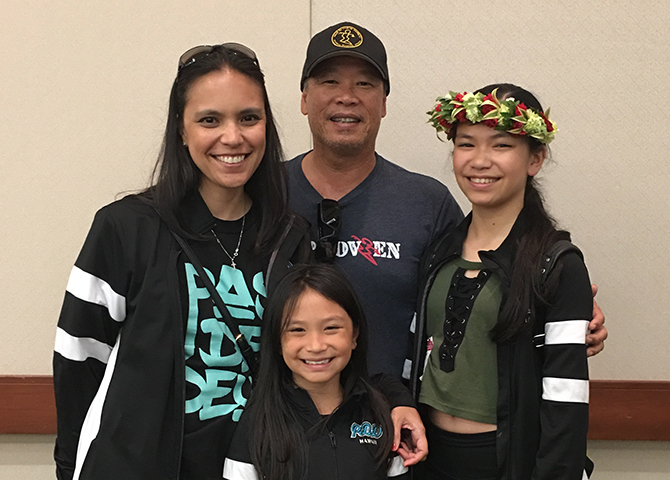 The Chong’s, Rodney, Kelly, Kahiwa (19), ‘Alohi (17), Makana (15), and Kekua (9) are so blessed to have been chosen as PDD’s Family of the Month for February 2018. Rodney is an Electrical Inspector for the City and County of Honolulu and Kelly is a stay-at-home, homeschooling mommy. Kahiwa is in his freshman year at HCC pursuing a degree in Fire & Environmental Emergency Response. 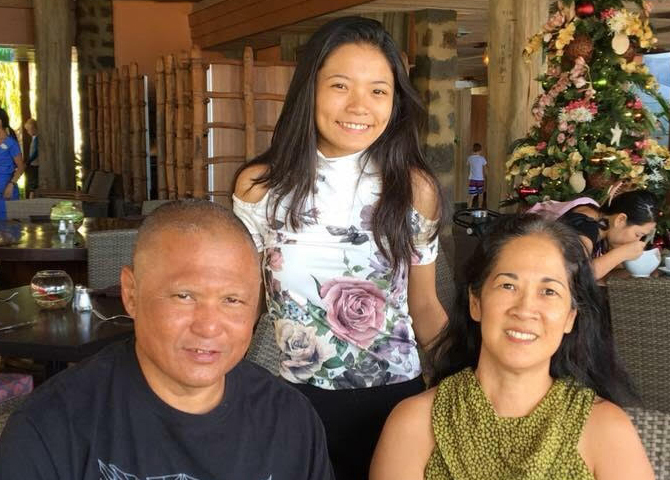 ‘Alohi is in her freshman year at California Baptist University majoring in Biomedical Science, with the goal of going to medical school to become a pediatrician. Makana is a homeschooled 10th grader and her brother Kekua is a 4th grader. Aloha from the Magno family. We are so blessed to be chosen as PDD’s family of the month for January 2018. We are a fun- loving, adventure seeking family whose goal is to experience it all. Mark works as a technician for Spectrum Cable and Angela works as a Registered Dental Hygienist for Pearl Family Dental Care. Alissa (12) attends Kamehameha Middle School and Alivia (7) attends Pearl City Highlands Elementary School. Cameron (10) is a 5th grader at Kamehameha Elementary School and is currently a part of the HITMEN Gymnastics Team.